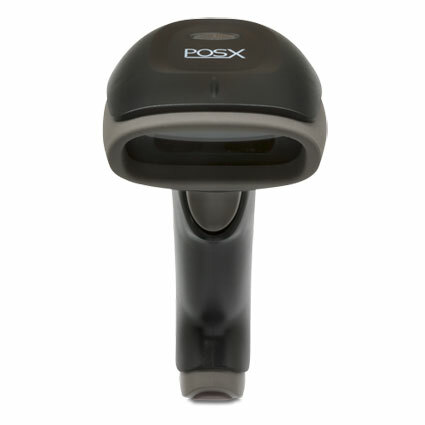 The POS-X EVO Laser barcode scanner is a lightweight and economical solution for retailers needing aggressive 1D scanning at their business. The easy to use and aggressive laser scanner is an ideal choice for medium volume retailers or any business needing the precision of a laser scanner. A 72 scans/sec scanning speed ensures the EVO Laser keeps up with the high demand scanning you may see at a department store or other retailer. An LED indicator on the top of the scanner gives you a visual cue of successful scans, shining green when ready to scan and red when a barcode has been scanned. 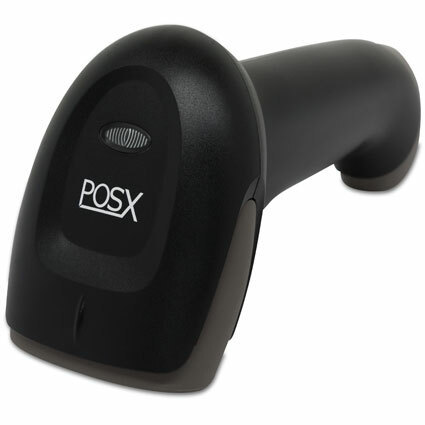 The POS-X EVO Laser is a hardy scanner, built to handle even rough retail environments. The rubberized housing provides protection from accidental bumps and collisions and allows the scanner to withstand drops of 3 feet. 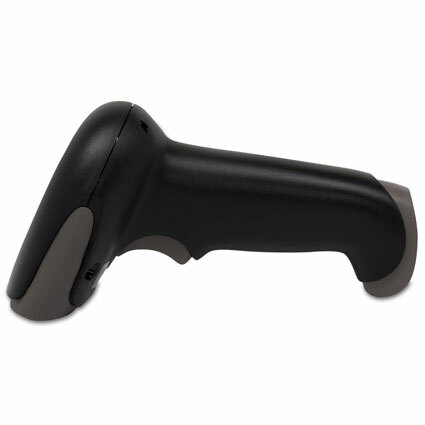 POS-X ships the EVO Laser barcode scanner with a 5-year, 2-day rapid replacement warranty, making this a great addition to any data capture application. Dimensions (W x D x H): 2.8" x 6.5" x 3.7"